/ What’s the best barbell for home gym set ups? If you’re setting up your home gym and including weights in it you’ll likely be looking to get yourself a barbell. They can be used for all sorts of different moves from deadlifts to bench presses to squats and as such are a really versatile bit of kit to own. Add on some good quality cast iron weight plates too and you’re sorted! This review is looking at the best barbell for home gym – I hope you find it useful. 1 Which size barbell to get? 2 Aren’t all barbells the same? 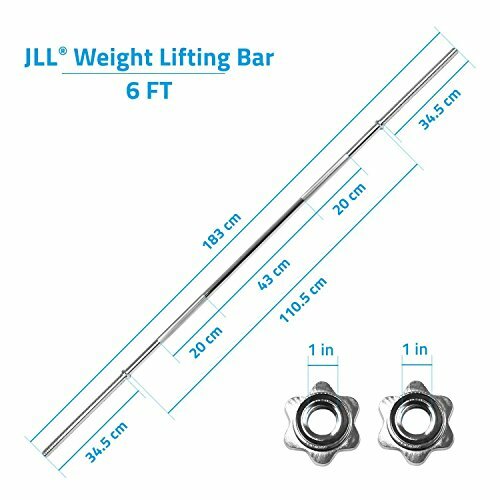 Which size barbell to get? There are a few different sizes of barbell out there which can seem confusing at first. Do you go for an olympic size one or something else? What’s the difference? An olympic barbell is the same standard size as used in weight lifting competitions. It’s 7ft long so not an insignificant item to store and use. If you decide to go for this size make sure that you have the space to use it! If you’re using it along side a power cage (which I recommend if you’re lifting seriously at home) then a 7ft is almost always the best size to go for. Also remember that olympic barbells have a larger diameter and will need weight plates that will also fit – it could be an expensive job if you’ve already amassed some standard plates but if you’re planning to be serious with weights it could be prudent to start off with buying the olympic weights. The olympic bar holds much more weight than the standard barbells too – again, think about what your aims are with lifting. As well as the olympic size you can get 4ft, 5ft and 6ft barbells – any difference in these? These are the standard barbell sizes and often have a diameter of about 1″ and so are thinner than the olympic counterparts. This means that they will not have the weight capacity so do bear that in mind. Smaller bars are more suitable for smaller gyms though and if you’re not planning on using big weights it could be a great option for you. They are also much cheaper as well. No! And it’s really not a good idea to just buy any old bar or the cheapest one around – think about it, you’re planning on lifting weights with it, if it bends and breaks you’ll do yourself a serious injury. Honestly – go for a good make and really think about what you’re likely to want to lift, make sure it can do the job even if you’re nowhere near that level yet. It’s better than having to replace your kit in the future or being tempted to add too much weight to your bar and risking an injury. Some are made of substandard material, some have different kinds of collars, obviously the sizes are different too (and with that the weight of the barbell on it’s own). 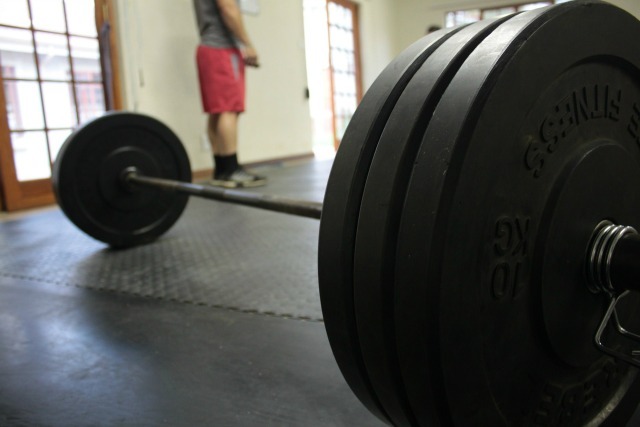 But mostly I’d say it’s good to go for quality with a barbell – you don’t want it failing. Space was an issue for me when I purchased a barbell so this is the one that I went with. York are a good brand and are well known for their weight lifting items so I felt confident in this one – I wasn’t disappointed. It’s been a great bar for what I’ve needed it for. It comes in 2 different sizes, the 5ft and 6ft size and it’s a standard size so it’s around 1″ in diameter. It will take a maximum of 125kg in weights and is a solid steel bar with spin lock collars. Highly recommended if you want to stay with standard sizes. They also do a ‘Beefy’ bar which will take up to 150kg if you think you’d need a more sturdy bar. A good budget option is this one from JLL. It comes in various sizes from 4ft – 6ft and also you can get matching dumbbell sizes too. As with the York barbell, this is a standard size which will accept standard weight plates. The weights are fixed on with a spin lock system which keeps the whole thing secure. The bar is a solid steel construction with knurled hand grip areas. I want to be able to tell you about the maximum weight limit for these but there is no information online at all – I’d only recommend these if you were planning fairly routine weight lifting and not wanting to do much heavy lifting. Ok, we’re on to Olympic sizes now. This range of barbells from MiraFit are all olympic but come in different lengths – you can get 4ft, 5ft, 6ft and 7ft bars. Remember if you’re using it with a squat rack or power cage to make sure it will fit – most need 7ft bars. They have quick release spring collars to keep the weights on and enable them to be changed quickly. It will also take a maximum weight range of 300kg. 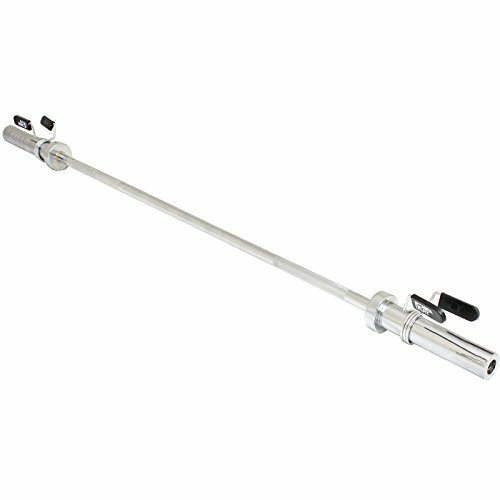 It’s a really strong bar, made of stainless steel and with a chrome finish – a really good choice especially if you’re a little limited in space but want the weight range an olympic bar will give you. This barbell from Body Power has the biggest weight capacity of all the ones on this page – it can hold 320kg. The barbell itself weighs in at 20kg. 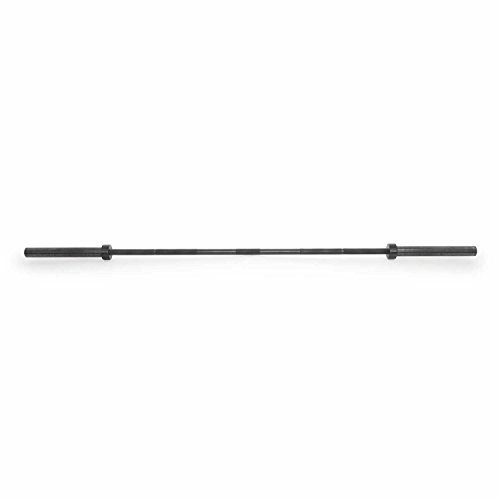 It’s a really smart looking barbell too as it comes in this really nice black finish – it would look great in any gym. 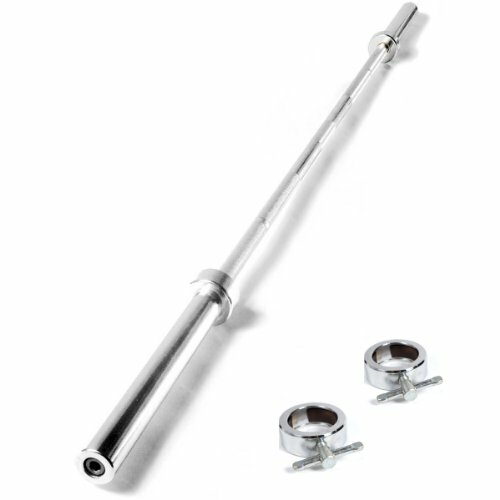 It only comes in one size – 7ft but it;s a really great choice if you’re looking for a classic olympic sized barbell. Finally we have this one which has a much lower weight capacity than the other olympic barbells I’m looking at – it will take 180kg. The weight of this bar is 18kg. It’s a good quality construction with brass bushings which should make it last a long time. It uses quick release screw lock collars for quick and safe weight changes.